The Newsletter: Talk about the history of Numerix, its origins, and how Numerix sees the importance of the Quebec / Canada market. Jeff D’Avignon: Numerix was founded in 1996 by three PhDs, two of whom were professors of applied mathematics at the University of Illinois. Numerix gained notoriety because of its ability to structure exotic derivative structures for pre-trade pricing, and since the launch of its first product – an accelerated Monte Carlo simulation toolkit, Numerix has grown into the global leader in cross-asset analytics and risk analysis for the structuring, pre-trade pricing, valuation and management of OTC derivatives, structured products and variable annuities. To best support market participants in key global derivatives centers, including Quebec and the Canadian region, Numerix has embarked on a global expansion of field offices across all regions to bring together unparalleled expertise and engineering disciplines. With such a high degree of derivatives sophistication, the Quebec and Canadian market has undoubtedly felt the impact of regulation change, thus is a key territory to promote Numerix pricing and risk analytics solutions. The Newsletter: Numerix is one of the best platforms for the trade pricing of derivatives and structured products. 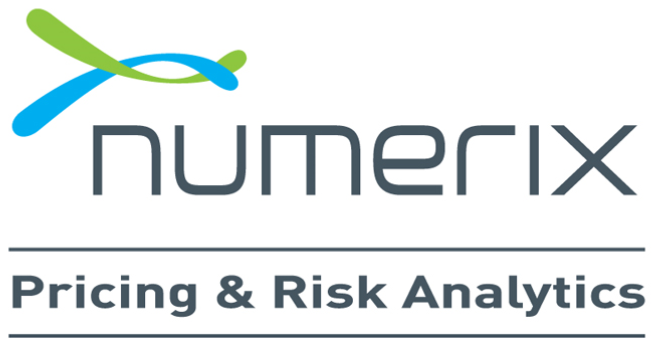 How does Numerix help derivatives/structured product market participants?